Space BD Inc. (Fukushima Bldg. 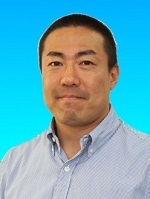 7F 1-5-3 Nihonbashi-Muromachi, Chuo-ku, Tokyo; Co-Founder & CEO Masatoshi Nagasaki; hereinafter “Space BD”) has come to an agreement with the ARC Training Center for CubeSats, Uncrewed Aerial Vehicles and their Applications (Sydney, Australia; Director Prof. Iver Cairns; hereinafter “CUAVA”) to provide satellite deployment services from the International Space Station (ISS) for 2 (“CUAVA-1” and TBD) of their 3U satellites under development. CUAVA is a partnership between the University of Sydney, University of New South Wales, and 10 industry and government partners to train the next generation of workers in commercial space, solve vital research problems, and help develop a world-class Australian space industry. “CUAVA-1” is the first satellite being developed by CUAVA; its purpose is to space certify advanced communication, remote sensing, GPS, and space environment instruments and provide their data to users on Earth. After being selected by the Japan Aerospace Exploration Agency (JAXA), Space BD has been rapidly receiving requests and orders, which has led to our first overseas contract. Based on our long-term partnership with CUAVA, Space BD will provide end-to-end launch and deployment services for the 2 satellites currently being developed by CUAVA. Through this partnership, Space BD will contribute to the growth of the booming Australian space industry, and further expand our space utilization services across the globe. We are excited to announce our first overseas contract for satellite deployment from a fast-growing country with a brand-new space agency, Australia. Starting with this project, we hope that cooperations in space between the two countries will further advance and strengthen our partnership across the pacific region. Space BD will endeavor to further our contributions to the Australian space industry. Signing this launch contract with Space BD is a crucial and very exciting step forward for CUAVA and all our students and partners. We look forward to a long-term partnership with Space BD and to the CUAVA-1 CubeSat enabling major progress on our research and commercialization projects. CUAVA and its partners are working to develop the trained workforce and engaged public required in New South Wales and Australia for an internationally significant space program and industry. Space BD is a space start-up founded in September of 2017, aiming to become a platform that can answer any challenge in the pursue to industrialize space, with a mission of contributing to the space industry such by mitigating the burden of entities concentrating on technical development. Selected by JAXA as the commercial service provider for satellite deployment from the Japanese Experiment Module“Kibo” in May 2018, Space BD will promote businesses placing the ISS as the core of low earth orbit commercialization. Funded by the Australian Research Council (ARC) and working with industry partners, CUAVA’s mission is to train the next generation of workers in advanced manufacturing, commercial space and Uncrewed Aerial Vehicle (UAV) applications. 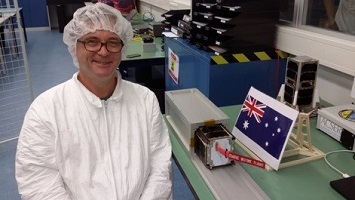 In doing so, CUAVA aims to develop new instruments and technology to solve crucial problems, and develop a world-class Australian industry in CubeSats, UAVs, and related products. Space BD is always on the lookout for customers seeking opportunities to launch and deploy satellites smaller than 50kg. Those wishing to apply, or for further information, please contact us using the information below.